Did you know that G.R.R. Martin, the author of Game of Thrones, is a member of our esteemed hobby? 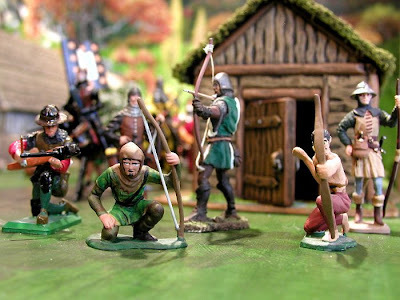 He collects and sometimes paints 1/32 (54mm) scale Medieval minis. Unluckily, his updated website no longer has photos. Luckily, I grabbed the above image from his old website. I guess George doesn't think it's cool to show off his nerdy hobby anymore!